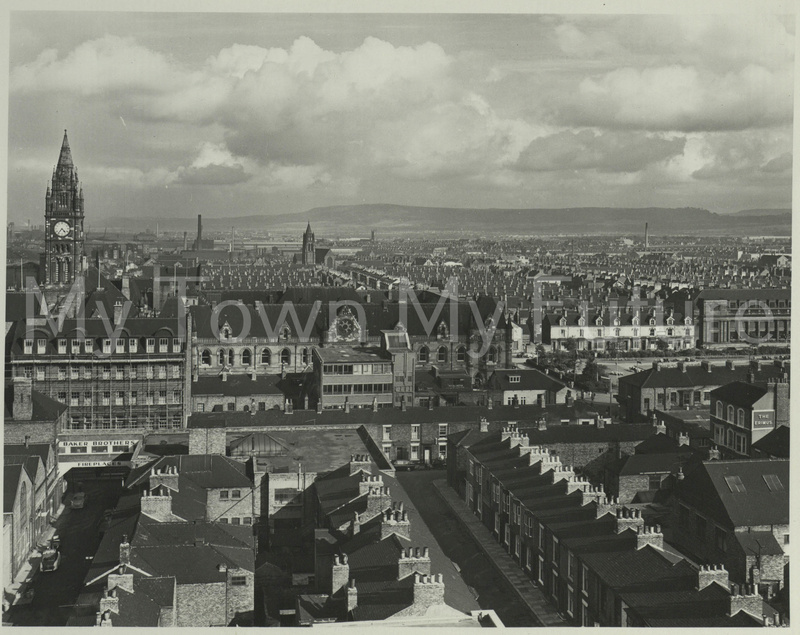 This photo, taken in 1960, shows the view of Middlesbrough Town from the top of Binns store. The clock of Middlesbrough Town Hall can be visibly seen. Photo courtesy of Department of Planning, Cleveland County Council.